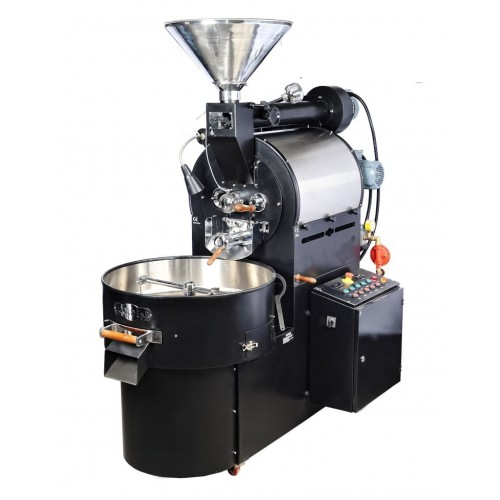 Used Coffee roaster machines Bharat and Emden brands 3 phase and single phase. Shanz Cafe was established in the year 1970. We are the leading Manufacturer of Chicory Powder, Roasted Coffee, Instant Coffee Powder, coffee beans, coffee powder etc. A 40 year old experience in serving filter coffee to the customers. A strong bond with lots of coffee lover sin and around Tamil Nadu, based in Madurai Tamil Nadu. Has got its own special way of making coffee with advanced technology that is brought in coffee making technology. Shanz cafe holds customers and dealers all over Tamil Nadu and in North India. The number of customers and dealers are growing day by day as the satisfaction increases. Shanz cafe is run by a Subramanian has a 30 years of experience in coffee retails and whole sale. Well blended coffee powder is provided to all wedding and functions. These professionals carry out various surveys on a purpose of understanding the evolving trends of the industry. Moreover, they interact with patrons so as to get the clear understanding of their requirements.